Have fun using a variety of fat quarters, strips or scraps to grow your own Big Tree. 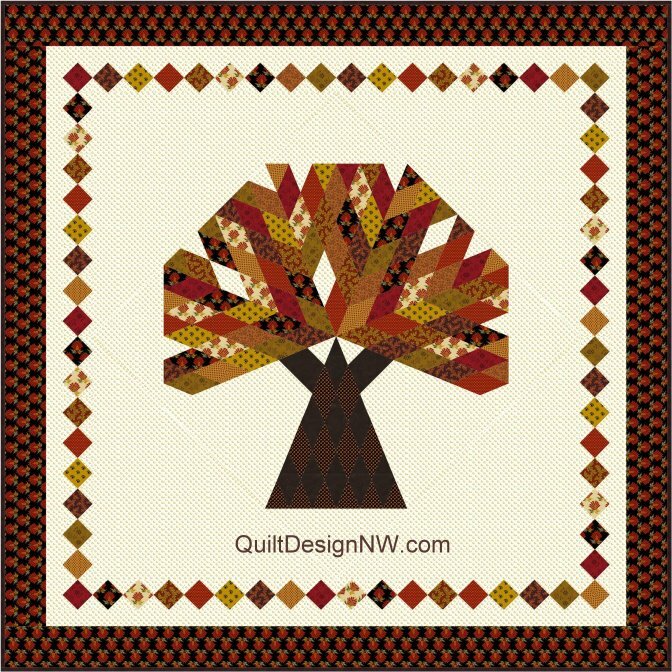 Although the sample quilt is made with fall colors, this quilt would look amazing with leafy greens and touches of color for spring and summer. The pattern includes instructions for rotary cutting the diamond shapes, with illustrations for both right and left-handed quilters. Sample quilt made using Andover's Marmalade collection (2017). 60 1/2" x 60 1/2". This quilt is rated Intermediate. 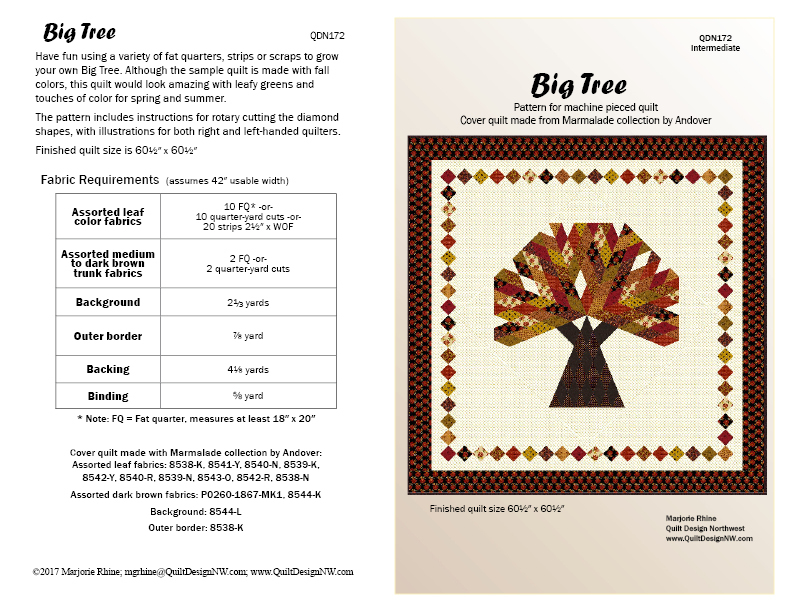 Downloadable version of Big Tree pattern now also available for purchase on Etsy!